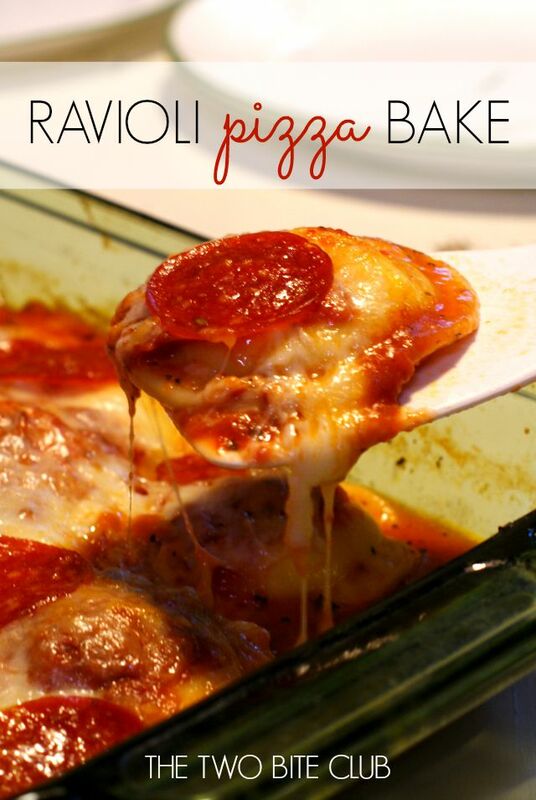 This Ravioli Pizza Bake is a made by topping ravioli with all of your favorite pizza toppings and then baking it in the oven until it is perfectly cheesy and melty. Aaaaah, so much happening in my little corner of the world. In the last couple months, we've sold a home, moved everything we own into storage, lived with the mother-in-law for a month, bought a home, and moved out of storage and into the new home. It has been a whirlwind! So happy to finally be in our new home, though. I'm a happy camper. I made this recipe during the month we were living with my husband's mom. I was all about quick and easy meals while we were there in an effort to be as minimally intrusive as possible, seeing as we were guests and all. This recipe is a ravioli and pizza mash-up. Sound good, right? It so was! I love pasta and I love pizza, and I thought the two would be perfect together. It was definitely a fun way to spice up dinnertime and I will totally be making it again! Cook the ravioli according to the package directions and drain. 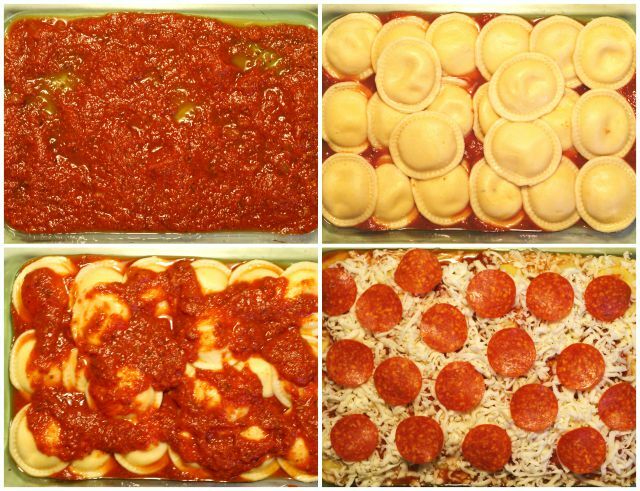 Spread 1 cup of pasta sauce into the bottom of a 9 x 13 baking dish. Place the ravioli in a single layer over the sauce. Spread the remaining cup of sauce over the ravioli. Top with the shredded cheese and toppings of your choice. Bake in the preheated oven uncovered for 25-30 minutes, or until hot and bubbly. I used cheese ravioli as a personal preference, but subbing meat ravioli would be super yum!